How can IT leaders align themselves more closely with their business while also accelerating the pace of innovation? 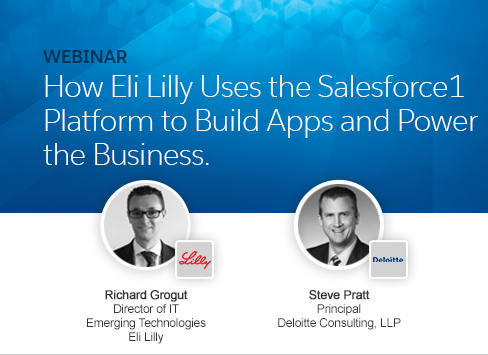 Hear firsthand how Eli Lilly leverages Salesforce to rapidly build and deploy secure business applications that help power their business. Richard Grogut, Eli Lilly’s Director of IT. will take us through their journey and his tips for success. You’ll also hear from Steve Pratt of Deloitte on how Eli Lilly took the right steps to close their IT innovation gap.